Originally this post was published on Charlie Paparelli’s blog as part of an ongoing series called “Reimagine Your Life.” To read the rest of the series, go to paparelli.com and subscribe. “Who is your higher power?” I asked myself as the AA meeting concluded. The next day as I was in the kitchen by my wife’s desk, I got a call. It was Robert DiCristina. He was a former competitor, a friend, and a former co-worker. He was also a devout Christian who loved Jesus. “What is it about?” I asked. I don’t know that it mattered. I wasn’t doing anything for work. I was in a lousy startup partnership, and the business results were as bad as the relationship. Nothing was working for me. My work was an important part of my life fulfillment, and I was not fulfilled. “The dinner is sponsored by Leadership Ministries. Their keynote speaker is an EVP from MCI. It will give us a chance to spend some time together. You’ll also meet some new people in business. Who knows where this might lead,” Robert said. “When is the dinner?” I asked. “Tonight at 7 pm. Will you join me?” he asked again. “Sure. Thanks for the invite,” I responded. I told Kathy I was going to dinner with Robert. She was relieved. With my search for work not going so well and attending AA meetings every night, I wasn’t very good company for her and the kids. We got to the hotel and were escorted to a private meeting room. When I walked in, the room was filled with men sitting at round tables. We found a seat, and the dinner was served. I was relieved to see no alcohol on the table. I was safe, at least from this temptation. I don’t recall talking to anyone except Robert. Then the speaker was introduced. The speaker was Jonathan Crane. He talked about his business. As his story progressed, I felt like it was me talking about my business experience. But then his story took an unexpected turn. He began speaking about Jesus. I had never heard a businessman talk about Jesus. Priests and pastors did that, not businessmen. But there was something about this man which was very different from my experience. I realized he was talking about Jesus as his higher power. And not just a big God somewhere out there in the universe. He spoke about a personal relationship with Jesus. I left the dinner in a daze. What did all this mean? The next week, Robert Campbell called me. Robert and I had worked very closely in building my first startup. We remained friends after the sale of the company, although at a distance. “What’s a prayer breakfast?” I asked. “It is a breakfast being hosted by my church. We have breakfast and then listen to a speaker,” he said. Previously, Robert and I had hundreds of conversations about God and Jesus. We’d worked very closely together, and he was always witnessing. I remember telling him to “Shut up already.” Here he was years later inviting me to some church event. The breakfast was at the Holiday Inn Crowne Plaza at Ravinia. It was 7 am when I walked into the ballroom. Men were everywhere with not a female in sight. Who stepped up to the podium but Larry Dean, the founder of Stockholder Systems Inc. He had, at that time, the most successful software company in Atlanta. He was a big thinker and achieved incredible results. I didn’t know he was a Christian. Larry welcomed all of us and then introduced Adolf Coors IV. Adolf had a tremendous executive presence. He was tall with grey hair, dressed in a suit and tie, with a deep voice and eyes of steel. I thought, I’m going to AA, and now I’m listening to the guy who owns all the beer in the world. Crazy. Adolf gave a very compelling talk. It was a chronological walk-through of his life. He was a high achiever, smart, a marine, a black belt, and a successful businessman. And, of course, he was rich. He was an heir to the Coors family fortune. He talked about his father being his god. He adored his father and wanted to be him. One day, his dad left for work and never came home. He had stopped to help someone stuck on the side of the road. It turned out the guy was an escaped criminal. He shot and killed his father, put him in the trunk of a stolen car, and drove off in his car. Just like that, his dad, his idol, was gone. This time it was at the DoubleTree Hotel in Ravinia. Again at 7 am. There were hundreds of tech people there. When I finally found the table, I was pleased to see Robert and a couple of other people I knew. I left that man’s office with my question to him on my mind. Was this the higher power who was saving me from alcohol? “Is your heart right?” his wife asked him. “I really don't know. I just knew I needed to do it,” he answered. When he got home and told his wife, she asked if his heart was right. He told me he didn’t know how to answer her question. I know this struggle well. I’ve been traveling to Uganda for four years. Kathy and I will be going again this September. I remember the first year like it was yesterday because the second after I committed, I regretted it. I went through two gigantic struggles. The first was trying to figure out how to tell Pastor Elijah I changed my mind. The second was wrestling with what I would speak about. My heart did not get right until I arrived in Uganda, two days before the conference something happened. God made my heart right. It was like He threw a switch. One moment I was totally consumed with myself, my flesh, and the next, I was following the Spirit. Pastor Elijah sat there, very calmly, with no expression on his face. Then came the next struggle, figuring out topics on entrepreneurship which would serve the needs of this audience. An audience I knew nothing about. An audience made up of a culture which was completely foreign to me. I struggle coming up with topics for an Atlanta audience. This was a whole new level of struggle. Over time, after countless hours of stress, I was forced to pray. Not the short, “Please, God, help me” kind of prayer. But the, “You have to step in here. Fix this. Fix me. Get my heart right. Give me the topics. Give me the details. Please save me!” kind of prayer. This was the beginning of my heart’s transformation. But God, like Elijah, just sat there quietly. Day after day. Week after week. Month after month. He knew. I knew. He chose me to go to Uganda. He would make it right. I would prepare the right talks. I would deliver them, all because He would make my heart right at the very moment it needed to be right. I knew he wouldn’t call me to Uganda to fail but to make an impact. This is what I told Luke. This is my fifth year going to Uganda to speak to Youth Ablaze. The conference has grown from three thousand delegates from three African nations to twelve thousand delegates from ten nations. In spite of the success of the conference, I still go through a period of rebellion. My flesh is always in control until I step onto that stage and see the expectant faces of the audience. At that moment, there is no rebellion. There is just pure joy. The Holy Spirit has me. My advice is to say, “Yes!” God will make your heart right. His timing is perfect. Always. Deuteronomy 31:6 So be strong and courageous! Do not be afraid and do not panic before them. For the LORD your God will personally go ahead of you. He will neither fail you nor abandon you. Here is a new podcast I think you'll find enjoyable. I know I have. Henry Kaestner, was our HTPB keynote speaker last year. His new podcast is doing something intriguing. Henry is a Silicon VC who believes making money isn’t enough. He wants entrepreneurs who are driven by their faith. Men and women who will change the world with great ideas and God-centered leadership. Entrepreneurs who change people’s lives for Christ. This is Henry’s heart and the heart of his partners. This is one unique VC firm and one unique podcast. 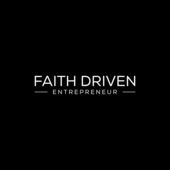 I encourage you to download and subscribe to the Faith Driven Entrepreneur podcast today. You get to ask your questions and have a faith driven VC and successful entrepreneur answer them. Henry and his partner share their best values-based advice in edible 15-20 minute segments. Listen, learn, apply. Join me as a subscriber. Regi Campbell is right up there as one of my very best friends. We met through the leadership of the High Tech Prayer Breakfast in 1995. Back then, Regi was one of a handful of people I met who I would now call a “Free Agent for God.” These people break free from their church and take their faith with them to work. Regi modeled this behavior for me and even wrote a book, About My Father’s Business. He is a former Entrepreneur of the Year who has partnered with me on multiple angel investments. We are fully integrated as friends, business partners and “Free Agents for God.” Take a closer look at just what Regi is up to by clicking on the links at the end of the article. So I’m sitting in a coffee shop one morning, enjoying a cup and conversation with a couple of friends. All three of us are technology guys, entrepreneurs, Jesus-followers and table hosts for the Atlanta High Tech Prayer Breakfast. With the breakfast way out on the horizon, the conversation centers on people we’re engaged with, mostly through work. We are discussing the relationships we have, how well we know the folks and what we have in common. Some of these people will be our guests at the breakfast. It’s not Sunday. This isn’t church. In fact, we all attend different churches of different denominations, and we all love our churches. We’re not talking about reaching people for church. None of us have gone to seminary or worked at a church for pay. And we aren’t following some scripted process for winning souls. We are free agents for Christ in the workplace. We are using this business event to introduce people to the message of Jesus as told through a technology leader’s story. We have nothing to personally gain from these invites. In fact, we’ve come out of pocket to buy tables for the breakfast for no other reason than to share the joy we have in knowing Jesus. We believe the message may have an impact on our friend’s life and family today and forever. Later, I sat and pondered what led us into this free agent deal. What motivates us to focus on the spiritual lives of individuals in our work-world rather than just minding our own business and going to church on Sunday. 1. We are grateful. All three of us are so grateful to Jesus for our salvation. He gave us another chance. A clean slate and a new start. He saved us and he saved our families. We all have a new life. We are born again. We know we can’t pay God back but we can honor Him by doing what He told us to do . . . share Him with others. 2. We want to share. Each of us wants others to have what we’ve been given. It’s like finding a great restaurant or a good book or a fabulous vacation spot. When you really enjoy it, you want your friends to enjoy it too. When I surrendered to Christ in 1983, I wanted everyone to get in on this new life I had. But I didn’t really know how to start conversations or share my faith. The High Tech Prayer Breakfast was a great way to start these faith conversations which would otherwise be awkward. This is why I came to love the breakfast. I discovered I was not alone. Instead, I became friends with the other table hosts. They shared with me their experiences in inviting people. And they also shared the lives which were changed at the breakfast. This gave me the confidence I needed to invite my friends. We have now been a part of the technology community for over three decades. The breakfast brought us together. Made us feel like we belonged. Over the 27 years of this annual event, many of us table hosts have become lifelong friends. Not only has God used us as free agents to help our friends come to know Jesus, but He’s also bonded us into a brotherhood that will last forever. Regi Campbell is the founder of Radical Mentoring, a non-profit that guides men and their churches in establishing men’s small group mentoring. 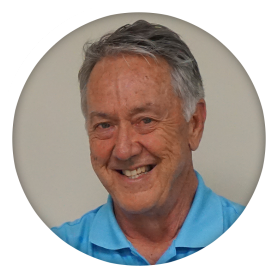 He is also the author of About My Father’s Business, Taking Your Faith To Work which offers a simple process for helping people in the marketplace find and follow Jesus. Regi writes a twice-a-week blog . . . click here to check it out. More information coming soon. Mark your calendar. “I want to know how I can be a more effective leader for Jesus in my workplace,” said John’s friend. I was asked to lunch by John Duisberg, the co-founder of Cooleaf and also co-founder and leader of the Grace@Work group at the Atlanta Tech Village. He told me he had a friend coming to town who was one of the men who influenced him into a personal relationship with Jesus Christ. “Why do you want them to know about Jesus?” I asked. “I had a lot of success early in life. I was a gifted athlete. I played competitively in high school and college. I was a 6’5” quarterback and also a forward on our basketball teams. Upon graduation, I went into business and applied the same values of hard work and a competitive spirit. Success soon followed. “Then I met a girl. The girl. She had a faith in Jesus that I just didn’t share. She also had a peace in life and a level of fulfillment which escaped me. At 27, I was doing better financially than any of my peers but feeling empty about it. This girl, who is now my wife, showed me and talked to me about Jesus. She told me he came so I would have life to the fullest. “So you want to share this exciting story with all the people you work with?” I asked. “He told us to be witnesses. He wants you to tell people what happened to you. He didn’t say preach. He told us to do what you just did for me. You told me your story. As Christians, we think we need to preach. Most of us aren’t equipped to do that. But all of us are equipped to tell our own story of how we encountered Jesus. And they are all great stories! “But when you tell your story, that’s way different. You can be sure your story will connect with the person you are talking to. The reason is, we are all the same. People are people. Our lives, our goals, our desires, our struggles, our challenges, and our successes are all the same. We want meaningful work. We want to be loved. We want to love. That’s why your story is so powerful. “When you discovered and then received the love of God, you knew for the first time in your life what it means to be loved and to love. But it didn’t stop there. He gave your life meaning by being on-purpose for Him. This is why you wanted this lunch. You wanted to know how to be effective in this new role he gave you. If you would like help in crafting your story, I know just the guy—Todd Miechiels. His ministry, the 315project.com, is helping people like you and me develop our story and then capture it on video. He will take you on a spiritual journey which will bring you closer to Christ. It is a great experience and the next step in growing your ministry. Go to 315project.com and watch the 2-minute video. Then contact Todd to find out more. Tell him Charlie sent you. The leaders who host the Atlanta High Tech Prayer Breakfast are out there all year long. The Breakfast is just the beginning. God called them to serve many different people in so many different ways. As you watch Susan in this video, ask God what more He might be inviting you to do for His kingdom. I watched all three seasons of The Guardian on Amazon Prime Video. It is a law drama created in 1999. It takes place in Pittsburgh. Great writing and also great acting. I am a fan of movies and TV series in which the main character grows from a not so great human being to a better human being. 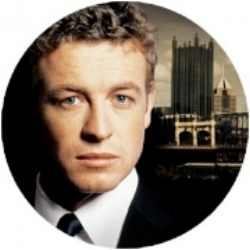 The Guardian accomplishes this with the character, Nick Fallon, played by Simon Baker. In the very last episode, one of his mentors, Alvin Masterson, tells Nick quite unexpectedly, "You know, you are a better man than you think." When I heard this a couple of weeks ago, it just hung in the air. It obviously stuck with me as I am writing about it. As I reflected on this sentence, I realize people who know me and love me have been saying this to me for years. For some reason, I never really heard it. I didn't want to hear it. But yet I can tell you each instance in which it happened. A dear friend told me this most recently at a Christmas party. Kathy tells me this all the time. Why is it that I hear it yet deflect it? It is a high compliment which is humbling and causes self-reflection. But I must not want to believe it. Why? In his first sermon of the New Year, Michael Youssef of Church of the Apostles talked about carrying the past into the future. Here are some quotes from his sermon. "What happened last year does not matter." "You are forgiven. Those sins are forgotten by God." "Many of us want to go back to the past. Jesus says, don't go there!" "The past and the future are connected. If you are always looking back, you are giving more weight to the past than the future." "Burn the bridges of the past. Forget about it." "Face the future by trusting God." "Keep your eyes on the audience of one." Seeing myself as the man of the past has hobbled my witness as a disciple of Jesus Christ. I have an internal dialogue going on. "Who are you to think you should pray with people? "What makes you think God can use your story?" "You are going to invite people to the High Tech Prayer Breakfast? You?" Michael then talked about a story in the Old Testament from 1 Kings 19:19-21. It is here the great prophet of God Elijah approaches a man plowing a field, Elisha. He throws his cloak over Elisha signifying he is the next prophet. Elisha says goodbye to his father, immediately sacrifices the oxen and burns all the equipment which signified his prior life. He is only looking forward now. Called by God, he is a new man with new strength and a new purpose. This was true for me. When I surrendered my life to Jesus, he threw his cloak over me. He said to me, "You know, you are now a better man than you think you are." 2 Cor 5:17 I am a new man in Christ, the old is gone, and the new has come. 2018 is the year for the new man to trust in Jesus and the power of the Holy Spirit within me. I need to think of the better man.